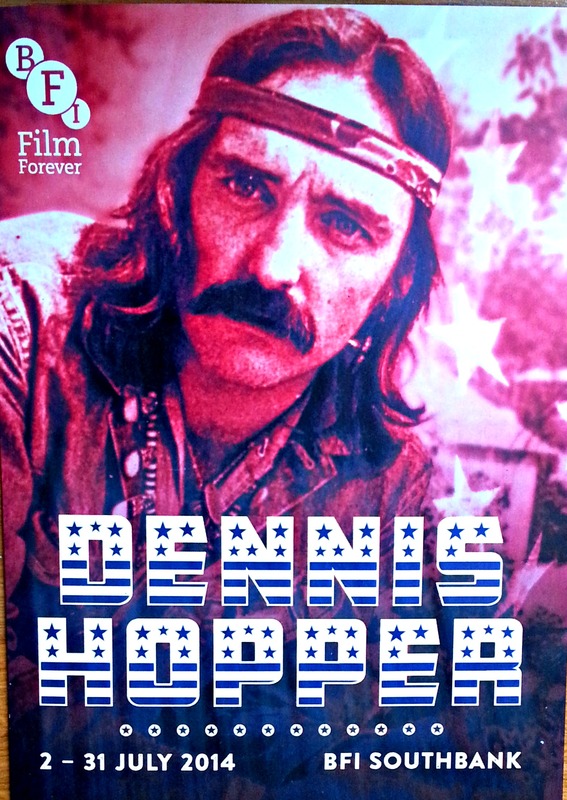 This summer is a Dennis Hopper fest in London. The Royal Academy of Arts has an exhibition of his photography (more on that coming up) and BFI Southbank ‘s programme for July includes Dennis Hopper: Icon of Oblivion, showcasing some of his most acclaimed films. Screenings will include Easy Rider, The Last Movie, Blue Velvet and Colors. I watched Easy Rider for the first time at the BFI recently and am still reeling (I won’t say why for those that haven’t seen it). Even if you have never seen it, I guarantee you know most of the soundtrack and have seen images from the movie emblazoned on t-shirts and posters. Brilliant but volatile seem to be the words that sum Dennis Hopper up best. Check out this link to watch a recent BFI interview with Peter Fonda talking about the highs (and boy were there a lot of highs it seems) and lows of making Easy Rider.